The refectory of the Dominican convent of Santa Maria delle Grazie, near homonym church, retains one of the most famous paintings in the world: the Last Supper by Leonardo da Vinci. Carried on the north wall of the hall between 1494 and 1498, during the dominion of Ludovico il Moro, the work was painted by Leonardo in "dry" instead of the fresco technique traditionally adopted for the murals. The performance, environmental conditions and historical events over the centuries have led to a serious deterioration of the work, already documented a few years after its conclusion. Over time there have been numerous renovations, the last of which, completed in 1999 and carried out with the latest scientific methods, has recovered the original drafts of color and removed where possible, repainting overlapping in various speeches. The protection of Leonardo´s masterpiece requires optimal environmental conditions, obtained through air treatment and special procedures for access of visitors, in groups of 25 admitted every 15 minutes. 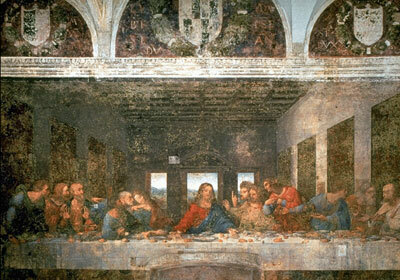 The Last Supper Supper of Santa Maria delle Grazie is located in Piazza Santa Maria delle Grazie nr. 2, in Corso Magenta. • Reconciling With the subway stop (red line) or Cadorna (green line). • With the Tram line 16 stop Corso Magenta-Santa Maria delle Grazie. From Tuesday to Sunday from 8.15 to 19.00, a lunch break (last admission 18.45). Closed on Mondays and 1 January, 1 May, 25 December. The tour lasts 15 min rounds. for a maximum number of 25 people at a time. • Full price: € 6.50 (+ € 1.50 booking fee). 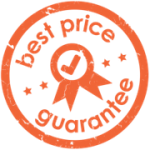 • Reduced ticket: there are reduced to 50% for EU citizens between 18 and 25 years and for academics. • Free tickets: for EU citizens under 18 and over 65 years. The entrance to the Last Supper and, for groups and school groups, the Pinacoteca di Brera is permitted only during the day and time slot booked. If this is not possible for reasons of force majeure will still be allowed entry in the following days according to availability, even beyond the validity of the ticket. For all types of ticket reservation is obligatory. The ticket is sold subject to availability: Call number 02.89421146.